Most spam calls are now blocked before the phone even rings, thanks to a new spam-phone-call-blocking application developed and managed by UW Information Technology. Spam calls are coming into the UW at an unprecedented level, and they are disruptive and costly. 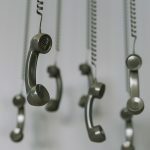 The new app thwarts this deluge of junk calls, and other universities around the country are beginning to take notice. Read the full story.